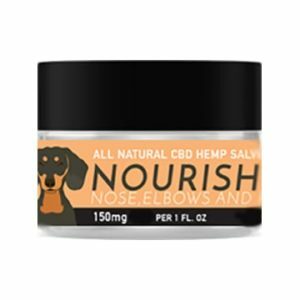 CBD Dog Health offers only the best CBD oil for dogs – always the highest quality, always formulated specifically for pets. 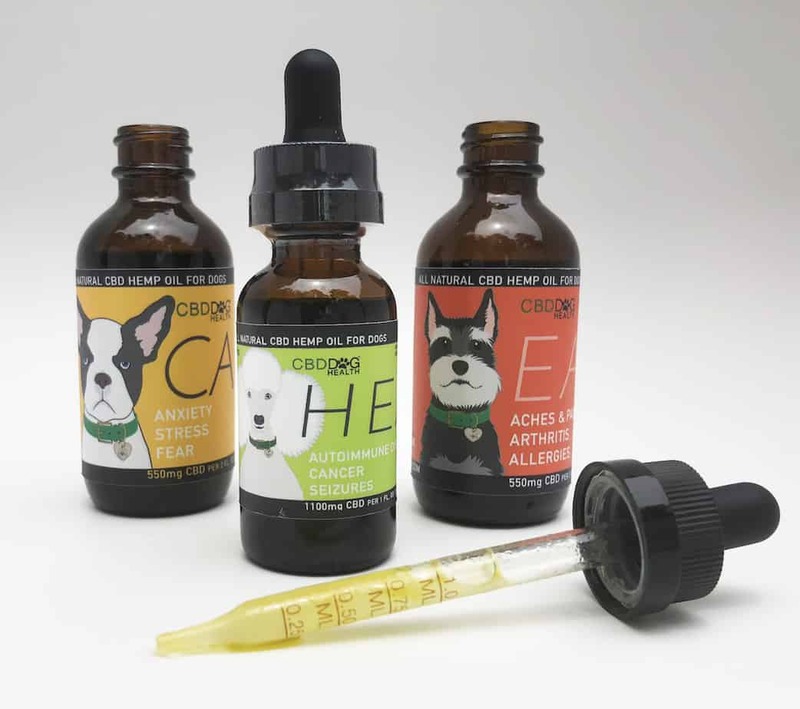 Our CBD hemp oil for dogs is 100 percent food grade and is made using CO2 extraction, which means we do not use chemical solvents like butane (lighter fluid) in any of our products. 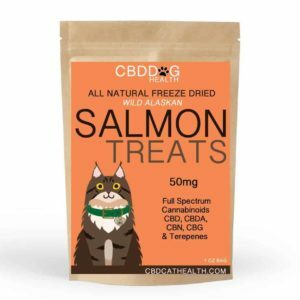 Additionally, all of our products undergo full spectrum lab testing by a third-party for purity and potency, and lab certificates are available to view prior to purchasing. 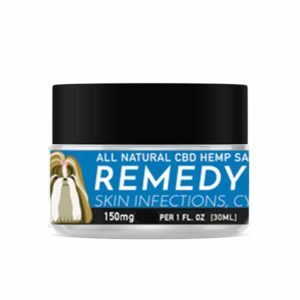 Full ingredients: 1100 mg hemp CBD oil, hemp seed oil. 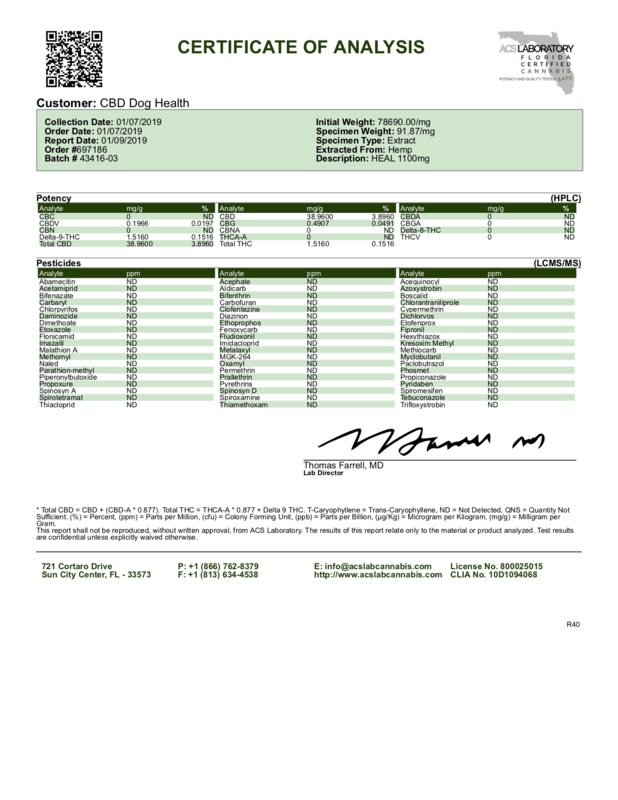 CBD Dog Health products are made with non-GMO hemp and are pesticide and herbicide free. Serving size: 1 full dropper (1 mL) per 25 lbs of body weight. HEAL should be administered directly onto the gums. You should see a reaction within 20 minutes. If after 20 minutes you do not notice a reaction, administer another serving. 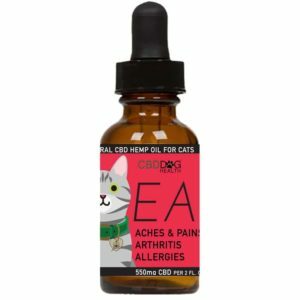 Your pet cannot overdose on CBD. If you administer too much they may become drowsy. 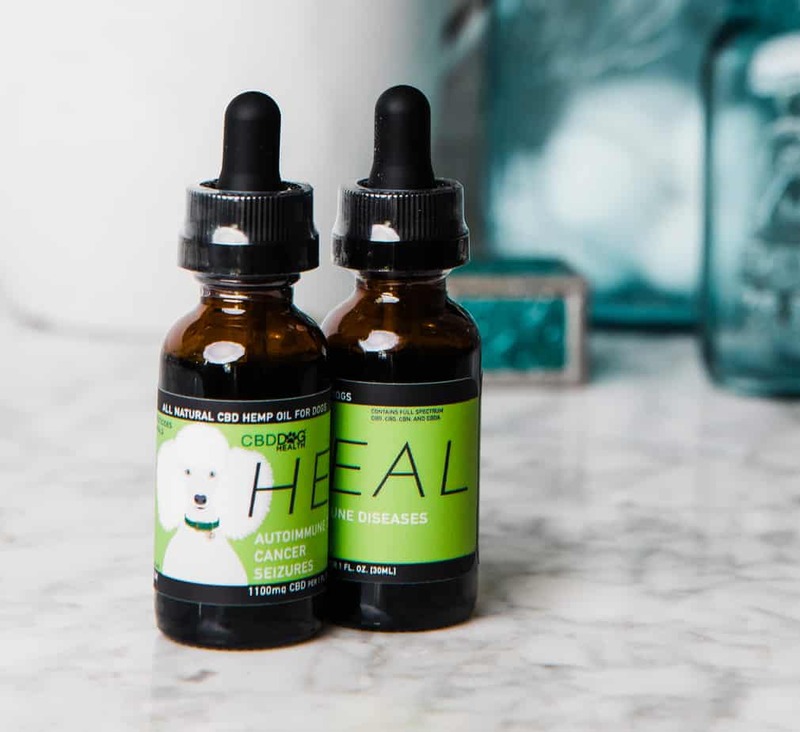 1 mL (1 full dropper) contains 93 mg of hemp seed oil and 37 mg full spectrum hemp CBD oil. 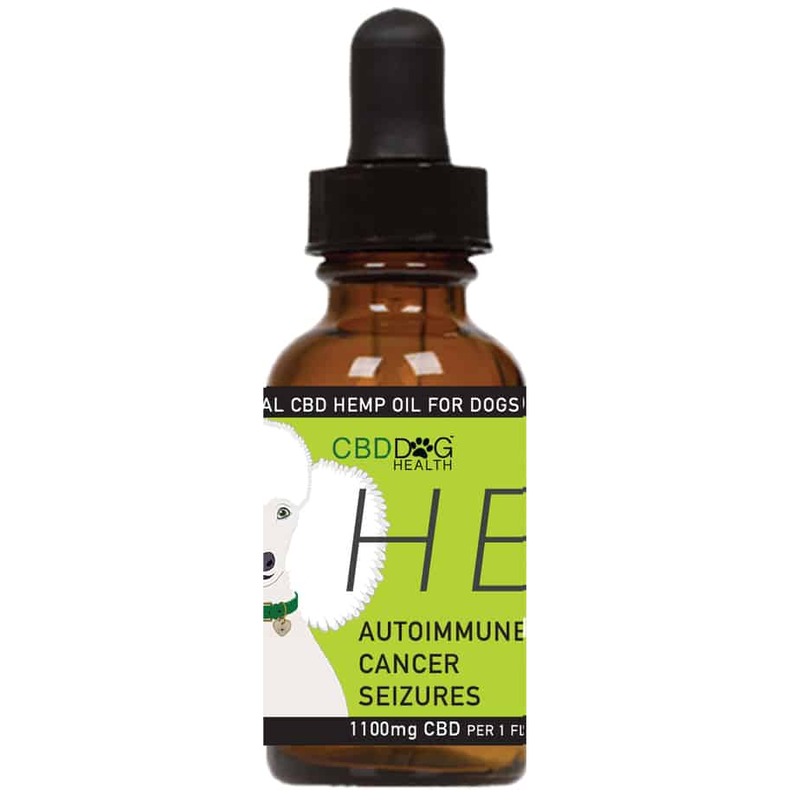 Each 1 oz bottle contains approximately 30 servings and 1100 mg full spectrum hemp CBD. Dropper included. Shake well before use. *Subscription price applied after 60 days. I give HEAL to my two senior jack Russells who suffer from seizures. 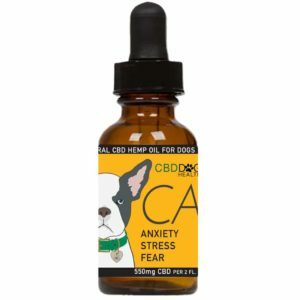 I have seen a huge difference in their overall wellbeing and a lower frequency of seizures since we started using this. 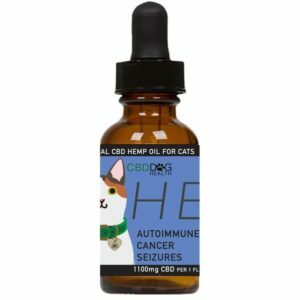 I love that it does not cause the side effects that the seizure medication was causing as well. Awesome stuff.